Radio and the cars relationship has always been strong. They have grown and developed together into a blossoming connection that is now over a century old. But this is all about to change….or is it? There is a new kind of car taking to the roads, and most people are not sure what to make of the ‘self-driving’ and ‘connected’ cars. They are officially being called Autonomous Vehicles or AV’s and they are about to take radio onto another technological journey, just as they did when the first motor cars rumbled onto the roads equipped with a wireless installed. But this will be a complicated relationship with many players trying to get in on radio’s hold of the key dashboard real estate. The likes of Waymo will interfere as he drives us in a ‘robotaxi’ from Google. Apple’s CarPlay and Android Auto have been up and running for a while now and there are predictions that half of all cars in 5 years will be fully connected. Connected cars are already growing faster than traditional (unconnected) cars in the States. They are estimating that more than 380 million connected cars will be on the road worldwide by 2021. A recent US study called the Infinite Dial still claims 82% of consumers aged 18+ who have driven or ridden in a car in the last month say they listen to AM/FM radio in the car which is a statistic that has shifted little since 2014. But with the arrival of in car apps and no need to drive, radio will need to again up its game and evolve. The car dashboard and the car itself is about to become a major new media platform. As we have seen with the smart speaker technology, radio listening is growing with hands free audio driven platforms. To be able to jump in your car and say ‘turn on my favourite radio station’ will help simplify things. Asking this to Alexa, Siri, Google and the rest of these new suitors will become second nature in the next few years. As better microphones will be embedded in cars, drivers will make regular smart device queries to hear news, weather, or music and this is where radio still dominates in the audio world. The way radio stations will be able to interact with cars will evolve with these exciting times. Connected cars will record everything that happens in and around them and this will give amazing new insights into in car listening and behaviour for advertisers and stations. There will be an array of new opportunities for advertisers by integrating digital innovations into the dash with radio. With these interactive touchscreens, how consumers interact with audio will completely change. 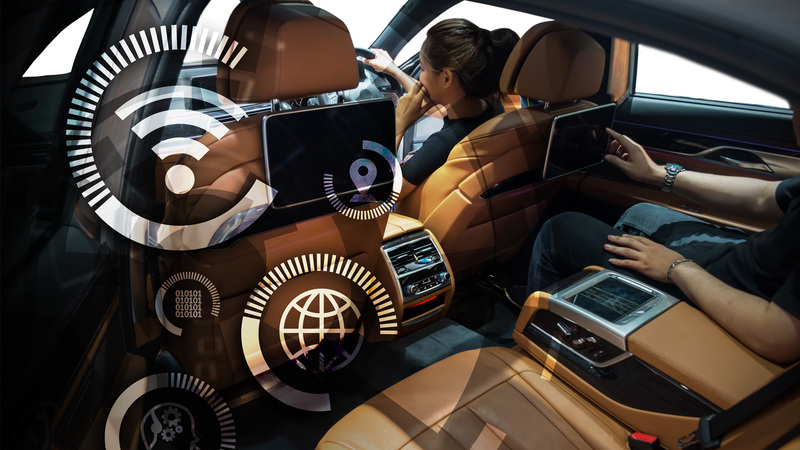 The two-way connectivity to the car will give drivers and passengers many more options for entertainment and information from radio brands. The metadata that radio systems can share into cars will drive new interaction. Advertisers will be able to join in this journey and have access to this new media hotspot. Radio no longer has a monopoly on its beloved car dashboard. The days of 2 knobs and 6 presets are not coming back. However, we are sure that radio’s relationship with the car will continue to blossom for another 100 years.